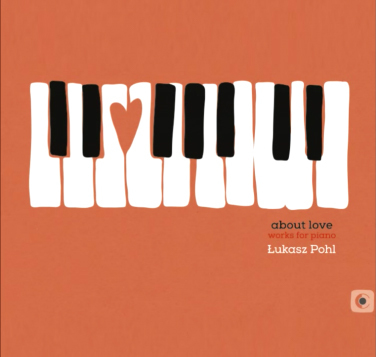 About love is a musical illustration of selected hues of love based on a subjective interpretation. That album is an invitation to an unrestrained journey into the world of personal memories and projections associated with these hues. In the thematic sense the album Stories is a tale about a multidimensional world of human emotions, which attempts to emphasize their most elemental meaning in the human life. The album is then a study reaching out for matters which are invariable for every one of us. Thus it is a subjectively assembled, but universally directed, code of cognition and recognition of a human being in his or her primary, extremely essential dimension. In the philosophical sense Stories allude directly to Schopenhauer’s ideas, although – obviously – they are a tentative attempt of putting them to life. Schopenhauer said that it is music that music: “(…) expresses in the most general language and peculiar material, namely in sounds themselves and in the most precise and genuine way the very essence of the world, thing in itself. We think about it using the notion of will; if (…) philosophy is just a perfect and correct repetition and expression of the essence of the world in very general notions, as only in them can you make a review of that essence, which is sufficient everywhere and possible to apply, then everyone who followed me and went into my way of thinking will not discern a paradox, when I say if you could explain music (…) then music would be true philosophy. Then we could parody Leibniz’s words (…): Musica est exercitum metaphysices occultum nescientis se philosophari animi (music is nescient practising of the soul, which doesn’t know that it practices philosophy)”. In the musical sense Stories are a set of twelve, minimalistically designed piano miniatures, where the dominant role is played by thematic work formed by the interweaving of the element of motif wandering with the thematically and philosophically justified factor of repetition realized against the backdrop of audible harmony. As Schopenhauer wrote: “How rich in content and full of meaning the language of music is, we see from the repetitions, as well as da capo, which would be unbearable in in a language of words, whereas in music they are very appropriate and beneficial as to comprehend it fully, we must hear it twice”.